Preheat oven to 400°F. Cover two cookie sheets with foil. Spray lightly with the cooking spray. 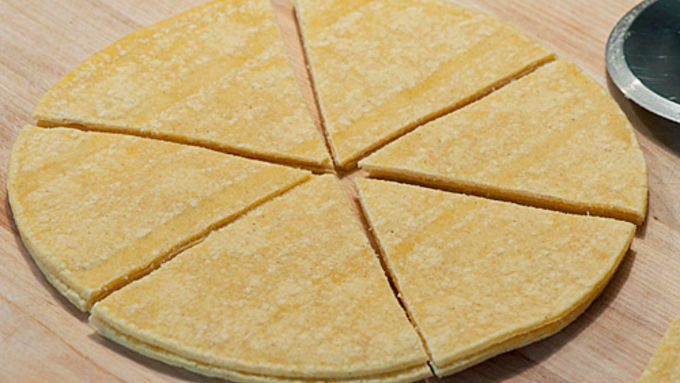 Arrange the tortilla triangles on the cookie sheets. The triangles should not touch. Spray lightly with cooking spray and sprinkle with salt, to taste. Bake for 7 to 8 minutes, until the chips are just beginning to get golden brown. Repeat steps 4 and 5 with remaining tortilla triangles until all are baked. 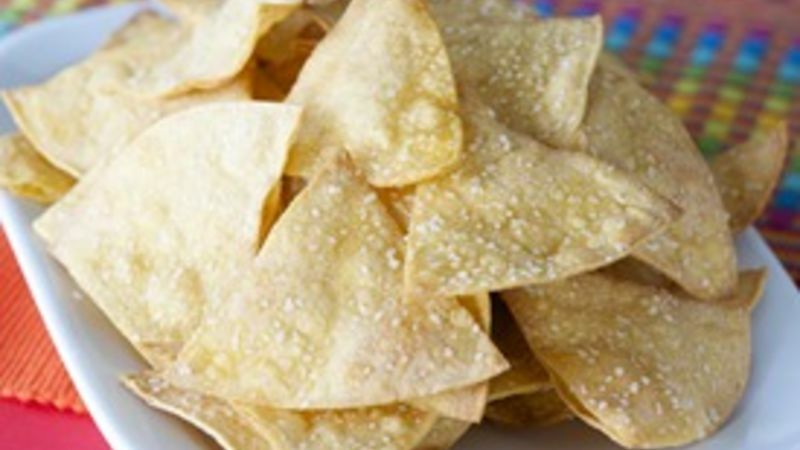 Skinny tortilla chips - brilliant, right? Well, before things go any farther, I must get something off my chest, lest you give me credit where none is due. These are not my inventions. I wish I could claim these Skinny Tortilla Chips as my own shining creations, but it wouldn’t be right. I unfortunately can’t remember where I picked the chip recipe up. Regardless, the end result is enough of a reduction in calories and fat that I treat myself to a full-tilt margarita (or so). Just call it my little exercise in justification! (Pun intended . . .) Hope you enjoy!